It is often said that children and youth are the future. They are thought of in terms of their potential—to become the next leaders, peacebuilders, business gurus, and scientists. To realize their potential, quality education is vital, and a considerable amount of attention is given to how to achieve this outcome. With conversations on the topic coming to a fore, the World Bank this year even released its first ever World Development Report devoted entirely to education. The problem, however, is that this mindset often misidentifies youth as mere beneficiaries in the educational system, around which other components must cater and mold themselves, rather than as empowered change makers who play a critical role in shaping that system itself. It is precisely because they are still being shaped that we do not always think of them as the shapers themselves, and because their value is often imagined in future terms, that their value in the present is underplayed. In order to align all actors to make the whole system work for learning, we need to reimagine the role of key players, such as the youth, in that system and address the asymmetries between mindsets and needs that stand in the way of quality education ecosystems. In practical terms, this means creating the space for youth to become active agents of change in their own lives and educational systems rather than mere beneficiaries. In other words, beyond passive participation or engagement, we need to cultivate agency within the youth, acknowledging education not merely as the static delivery of a package of information and skills, but rather a dynamic conversation that is tailored to each specific context and led by those whom it is intended to benefit most. Building Tomorrow—a nonprofit organization providing access to inclusive, quality primary education in Uganda—appreciates the value of youth not just in future terms but in the present as well. Therefore, through our Thriving Schools Program, we empower youth to become Building Tomorrow Fellows who take charge in shaping Uganda’s education system. 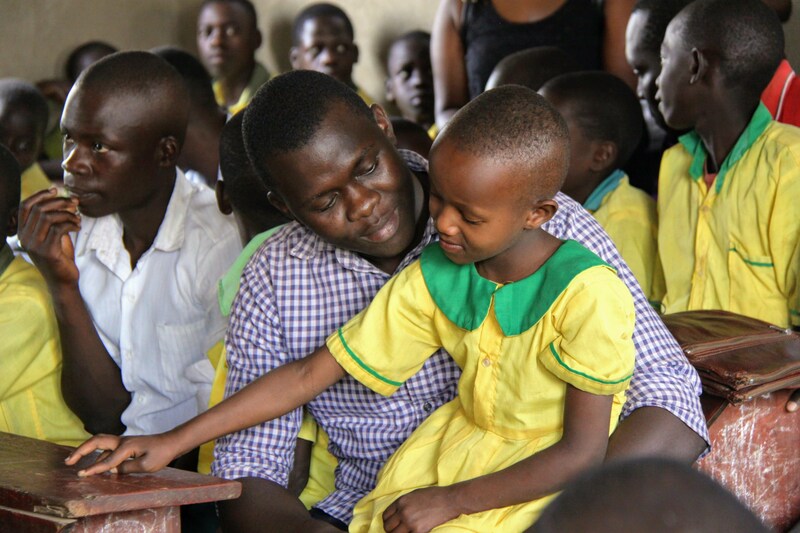 Through the deployment of recent Ugandan graduates to rural schools as Building Tomorrow Fellows, we are harnessing those who have successfully navigated the country’s educational system to stand on the front lines and orchestrate solutions for underserved schools and communities. Moreover, by training Fellows in a core curriculum to improve learning outcomes, build the capacity of school leadership and management, and galvanize community education volunteers for the enrollment of out-of-school children, we are creating a corps of community and resource mobilizers dedicated to educational improvement. However, the real strength of the program lies not in the information or skills that we pass onto Fellows or their communities, but in the trust we place in each young graduate to identify and innovate their own solutions. Although we train Fellows on a set of proven interventions, we also give them the space and resources to develop their own solutions—solutions that are contextually driven, tailored to the circumstances of specific communities, and which allow them to experiment and pursue their own dreams and passions. This space is created through the dynamic social entrepreneurship aspect of the program that runs in parallel with the core curriculum for improving learning outcomes. By pushing Fellows to reimagine the world as it could be by engineering solutions for some of the most stubborn challenges confronting Uganda, we are empowering them as leaders, entrepreneurs, and change makers. Armed with skills in business and financial modeling, budgeting, and market analysis, they are free to develop locally-specific solutions to the challenges they see as inhibiting education or other social progress. For some, this means initiating the local production of reusable menstrual hygiene products and catalyzing a wave of advocacy campaigns to keep girls in school. For others, it means collaborating with partners to bring renewable energy to rural communities in order to keep children and soils healthy. The possibilities are endless, and the innovations are as diverse as the communities that host them, but the main takeaway is that youth are not deployed as mere ambassadors of a model we think works. They are given agency to adapt that model to their own contexts and innovate their own solutions to fill in the gaps. Without their creativity and innovation, we would not be able to reach the 101,000 students that Building Tomorrow supports with access to inclusive, quality education each day. Part of the success of our model comes from an acknowledgement that the youth are a largely untapped resource in the quest for quality education. Youth comprise 77% of Uganda’s population and distinguish the country as the youngest population in the world. Importantly, this youth bulge is not unique to Uganda and is a key characteristic of African demography generally. These young people are often the ones with the time, energy, and idealism not to accept things as the way they are and who possess the restlessness to push for things as they should be. Yet culturally in Africa, they are often dismissed as inexperienced or disillusioned. And in development spheres, they are not adequately mobilized and empowered beyond being given “a seat at the table” when important discussions take place. We need to give youth more than a seat at the table—to move beyond participation to agency—because some of them are ready to stand. And, given the right support, our experience shows that many of them are ready to walk, march, run, and fly to lift our communities up to the futures they deserve. ABOUT THE AUTHOR: Building Tomorrow improves access to child-friendly, community-supported schools by providing an inclusive, quality education for underserved children in East Africa. Through our Thriving Schools Program, we deploy Building Tomorrow Fellows who recruit and train Community Education Volunteers, together bringing out-of-school children into the classroom while working with school leadership to ensure access to a quality, inclusive school environment. We also work hand-in-hand with local communities, the Ministry of Finance and the Ministry of Education of Uganda to construct new primary schools where no formal primary school exists.